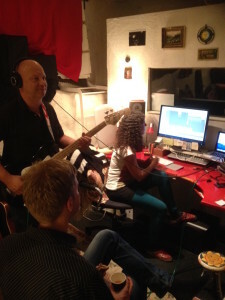 At El Sol y la Luna music studios you can not only have your music produced, your signature music composed, but also have your voice overs recorded, rent the studio per hour or get singing lessons. For any question about price, don’t hesitate in sending an e-mail to katten(at)elsolylalunamusic.com. The studio is located in Skanstull, Stockholm. SINGING LESSONS/START ANYTIME/FIRST LESSON FREE! *Describe your project in an e-mail, i.e. instrumentation, prior experience, amount of songs and I’ll get back to you.